We are all in need of a laugh or two on many days. To that end, check out these very funny cat videos we’ve gathered for you! The videos below are sure to please, and are packed full of adorableness as well! Okay you guys, these cats are beyond precious, and too cute not to share! Watch cat moments at their finest. They always leave me thinking, what are they thinking! All of these videos were shared on the Crazy Cat Lady Facebook Page! If you have a video of your cat, make sure to send it over! We love watching your feline friends, they are so entertaining!!! This is too funny. The cat doesn’t even seem to care they are playing ping pong! Such a silly and adorable cat! Listen here feet, I have a bone to pick with you! Why are you up in my business? If I could just get a hold of you…! This little kitty is determined to get a treat or two! Will the cat find success in getting a treat out? Ha, this little kitty is not a fan of homework! I am sure all the kids around the world would agree! What a fierce lion that is! Seriously, the cuteness level of this is off the charts! I need to buy that headpiece for my cats! Which of these videos is your favorite? 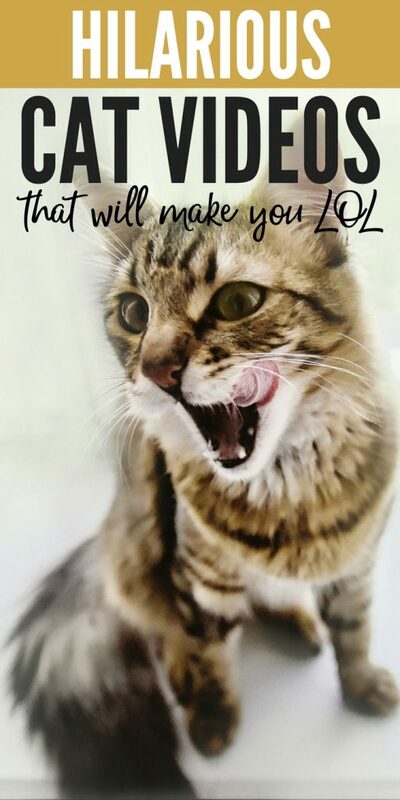 If you have a funny video of your cat, we would love to see it over on the Facebook page!